Periscope has been around for over a year now, but it’s still fairly new to many users. These ten tips are easy ways to guarantee that your Periscope broadcasts stand out from the rest 16 Periscope Tricks You Should Try Right Now 16 Periscope Tricks You Should Try Right Now It's easy to think of live-streaming apps like Periscope as simple press-the-button-and-stream processes, but a lot goes into getting noticed by the audience and making the result worth watching. Read More , and get the attention that you want! Periscope is a live-streaming app owned by Twitter that allows users to broadcast moments of their lives with followers across the globe. 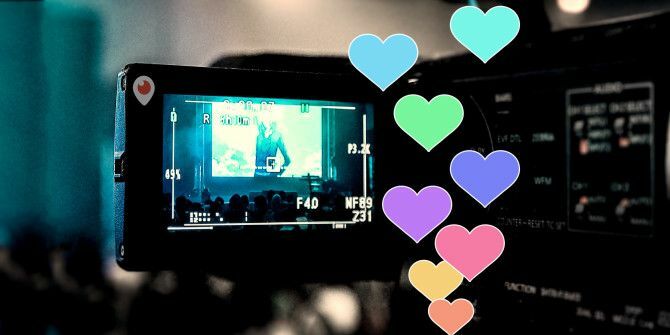 Viewers can interact with broadcasters through comments, and live streams can be shared through social media much like any other kind of photo or video post. Why Are People Using Periscope? Social Media has always been about trying to share events with people across the globe – and now you can share them instantly, as they happen, from your individual perspective. While some people may enjoy doing this in their personal life, this form of social media also has huge implications for sharing world news and for brands interacting with their followers. Live-streaming is now available on a variety of apps The Hottest Live-Streaming Social Apps You Need To Try The Hottest Live-Streaming Social Apps You Need To Try Instead of merely blogging, people are now sharing their expertise on YouTube, doing Q&As on Periscope and getting creative on Vine. And the audiences love it, because they can tune in while they get on... Read More including Facebook, YouTube, Meerkat and Periscope — it’s definitely a current must-have for brands and Internet celebrities, and is quickly becoming a mainstay for average social media users as well. Many people find Periscope refreshing because of its immediacy and reality — there’s no fancy editing involved in the final product, and you get to see everything as it happens in real time. There are a lot of reasons to use Periscope 10 Reasons You Should Be Using Periscope Now 10 Reasons You Should Be Using Periscope Now With so many different social networks, it's difficult to know where to put your energy. But there are plenty of great reasons why you should give Periscope a go. Here are a few. Read More . Whether you’re using Periscope to share your daily life, to communicate with fans and followers that you already have, or to share important events happening around you with a broader audience, there are some important factors to keep in mind! 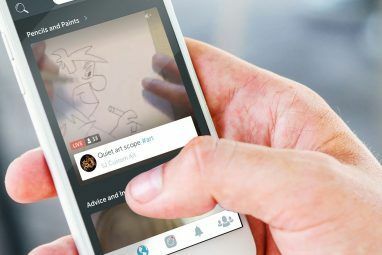 Periscope is an easy-to-use app, but there’s a big difference between a polished Periscope live stream and an unplanned, low-quality broadcast. 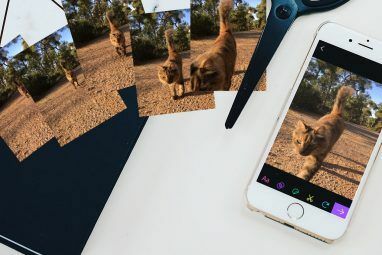 These ten practical suggestions for new Periscope users may seem simple, but they can make a huge difference in the quality of your stream. Without a quality stream, you’re going to have difficulty gaining and maintaining viewers, or building a positive reputation for yourself on the app. The most important thing to do before you hit “Start Broadcast” is to know what exactly you are going to be doing while you’re on air. You should take a moment before you begin to figure out what it is you want to show on the live stream, about how long your live stream is going to last, when you’re going to do the stream, what you’re going to talk about, and if there are any key pieces of information that you are going to need to make clear throughout the stream. By taking a few minutes to do this before the livestream begins, you’ll save yourself from potential on-air embarrassment and keep your broadcast organized and cohesive from start to finish, without omitting any important details. Lock: If you only want to share your broadcast with hand-picked followers, you can choose to have a “Private Broadcast” instead — a great idea for more focused conversation. Chat: You can choose whether anyone viewing can chat on your broadcast or if only those who follow you can leave comments. Title: The title of your broadcast is key for selling it to viewers — make sure that it’s descriptive, engaging, and uses keywords that can be found in searches! You want to make sure that your followers know about your broadcast! Spread the word on Twitter (can be done automatically through the Periscope app) and other social media sites with a link to your broadcast. You may also want to consider using hashtags to increase your posts’ visibility #Clueless? Everything You Need To Know About Twitter Hashtags #Clueless? Everything You Need To Know About Twitter Hashtags Some people #use #them #for #every #freaking #word; others ignore them altogether. It might leave you wondering: what are hashtags even for? Am I using Twitter wrong if I don't use them? And are people... Read More and to target your stream to people who may be interested. To access the shareable link for your broadcast, begin streaming then swipe left. Press “share” and then “copy link.” This link can be used on any social media platform to bring people to your broadcast. Having a picture-perfect broadcast doesn’t mean a thing if there isn’t anyone there to watch it! Be sure that you select a time for your broadcast that fits with the schedules of the viewers you are trying to reach. Consider work hours, current trends on social media How to Keep Up with the Trends on Social Media How to Keep Up with the Trends on Social Media Modern journalists always have an eye on social media to see which stories are trending and why. Do you want to track social media trends like the professionals do? Read More , important events that might be taking place, and time zones when planning your broadcast. The first thing you have your camera pointed at when you begin streaming will be what is set as the thumbnail for your video. Because of this, be sure that your camera begins pointed at something interesting (such as the event you’re attending, a graphic, or your smiling face) – nothing is going to draw people to a blurry picture of a counter or a way-too-close image of someone mid-sentence. You don’t want people browsing Periscope streams to leave yours when they begin watching because you haven’t started the content of your broadcast yet — you want to draw them in by being already engaged in the video and discussion that you are sharing. You don’t want the saved version of your stream to begin with several minutes of silence or unrelated footage! Begin right away so that your final product is a complete, polished presentation. If you are using Periscope to build a brand (even a personal one) it’s very important that you introduce who you are and what you are doing – not just once, but multiple times throughout the broadcast. This helps to orient new viewers to what’s happening in your stream and ensures that people watching know who you are and how to follow you on your key social media accounts. What makes Periscope so great is the interaction with the people watching — take some time to acknowledge their comments, respond to their questions, and listen to their recommendations. This will increase the value of your broadcast, and increase the likelihood of you gaining repeat viewers! Give your viewers something to do while you are talking to them. Ask them to share your stream, follow you on social media, or add their thoughts to the chat. Asking your viewers to do things not only helps you to gain more visibility on social media, but also draws viewers into your broadcast so that they feel more like participants and less distanced from what’s happening on-screen. Periscope now automatically saves your broadcast to your profile, where they can be viewed even after the live stream is over. You can choose to delete these streams at any time, or if you prefer you can set your profile to automatically delete streams 24 hours after they air. Saved broadcasts can be shared on Twitter and through a link just like live broadcasts, making it easy to continue showing your stream on your other social media accounts long after you are done recording it. Periscope is definitely more intimidating than most forms of social media, and the first time you press that “begin stream” button may take a little bit of courage. Try to relax and have fun with your broadcasts — they are your chance to share your opinions and perspectives with the world, and so you can present them in whatever way feels right to you! Have you used Periscope? What would you recommend to new users before they start their first broadcast? Explore more about: Periscope, Record Video.